Welcome!!!! 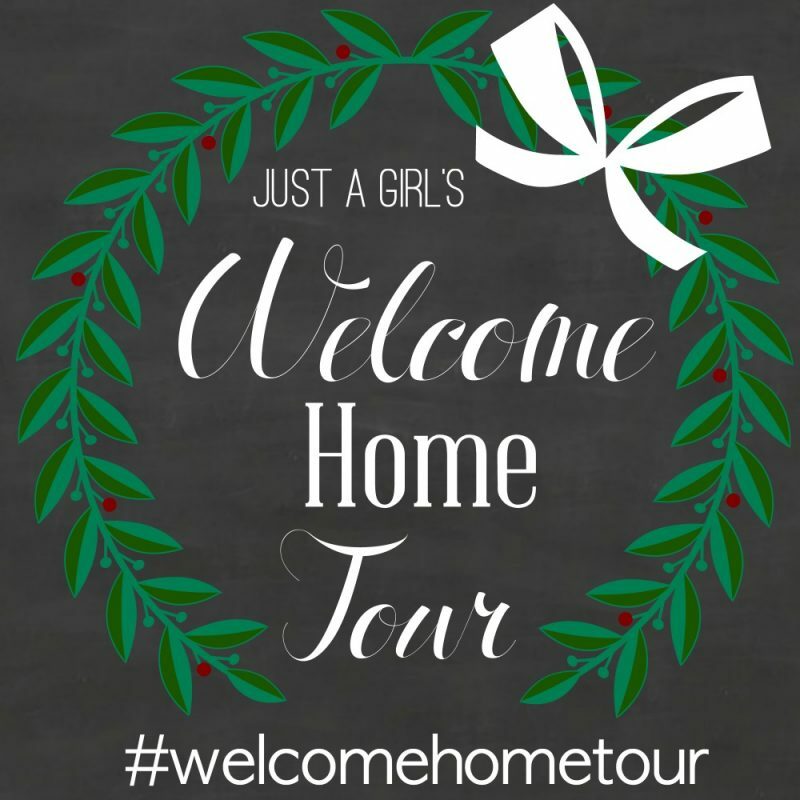 So excited to be joining Chris from Just a Girl as she hosts a week-long “Welcome Home Tour!” Chris and I have been friends for years and I adore her so very much. She is truly a wonderful person and kicking the week of with her makes for a pretty fantastic Monday. I decided to show you a bit of our front porch. 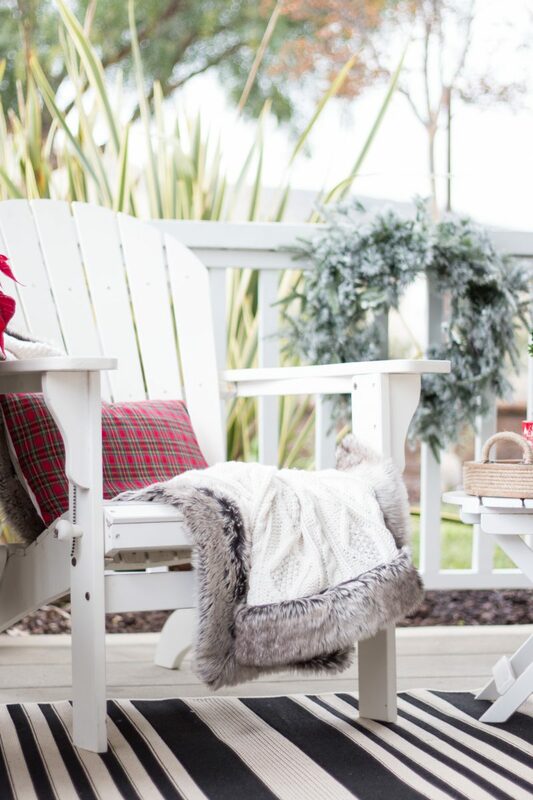 It’s a place where we love to spend time and the holidays make it even more cozy. With a few additions, it’s Christmas ready. 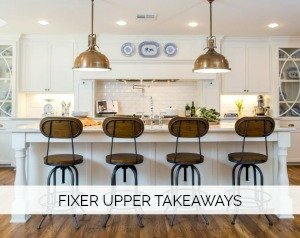 One of the elements that drew us to this home was the wrap around front porch. Our last house also had a porch and we clocked countless hours there over the course of almost ten years. This will be no exception. 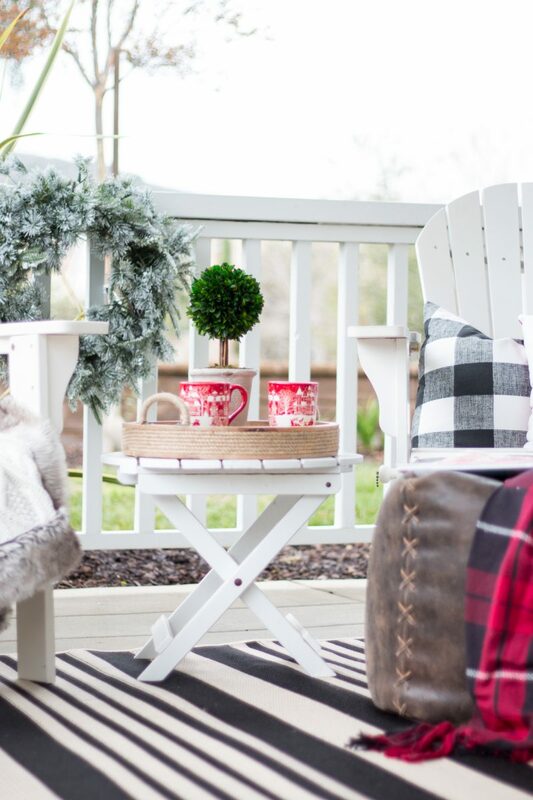 To make this space feel welcoming and cozy, we used a black and cream rug, cozy blankets and pops of red. I love using poinsettias this time of year because they last so long and I don’t have to store them once the holidays are over! I made the red plaid pillow covers a couple of years ago and keep them with our Christmas decor. It’s nice to be able to just cover whatever pillows we are using at the time for some Christmas cheer. The mugs are from World Market. You can see more of how I styled those here. My son let us borrow his leather pouf for the month. I continued to tweak and add things over the course of a few days. 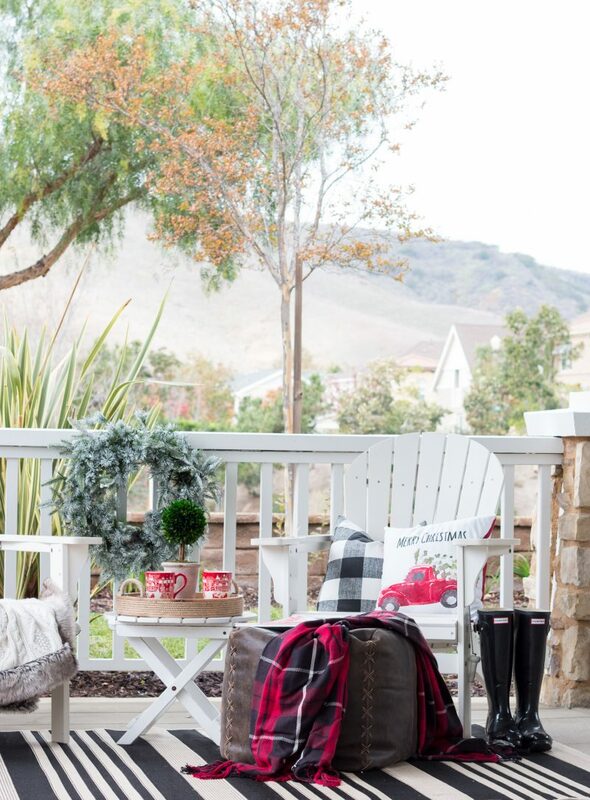 When the pillow with the red truck arrived, I knew I needed it on this porch. So much fun and I love the classic vibe. 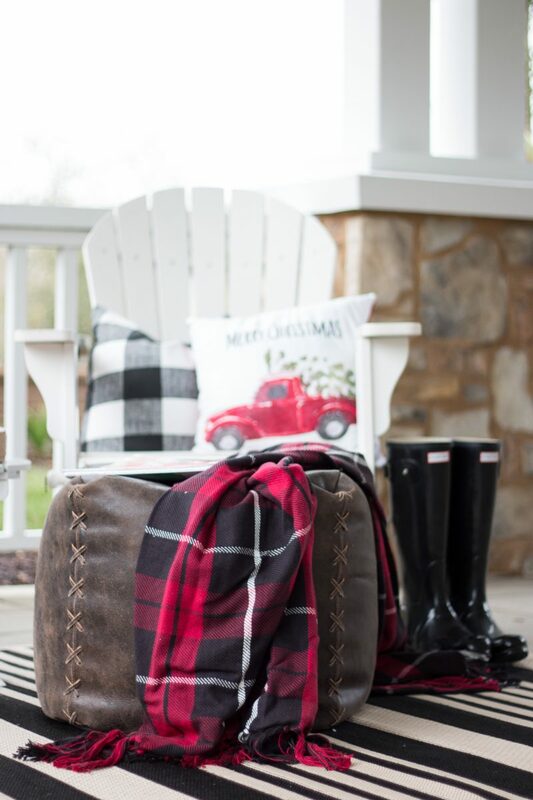 The red and black plaid blanket adds more texture and color, too. Adding a tray to the white table just warms it up for this time of year and gives it more interest. That was a lucky HomeGoods finds years ago. The topiary is from Target. I really like the way the frosted wreath (hung behind) gives a nice winter vibe. It’s not easy getting a snowy look here in California so this helps so much. It can light up at night, too. Our nights get really cold so the blankets are a must. But it’s a great spot to sit and relax in the evening. This is where we chat about life and all of its crazy ups and downs. Thanks for stopping in to see how we welcome Christmas on our front porch. I just wish we could keep it like this year round. 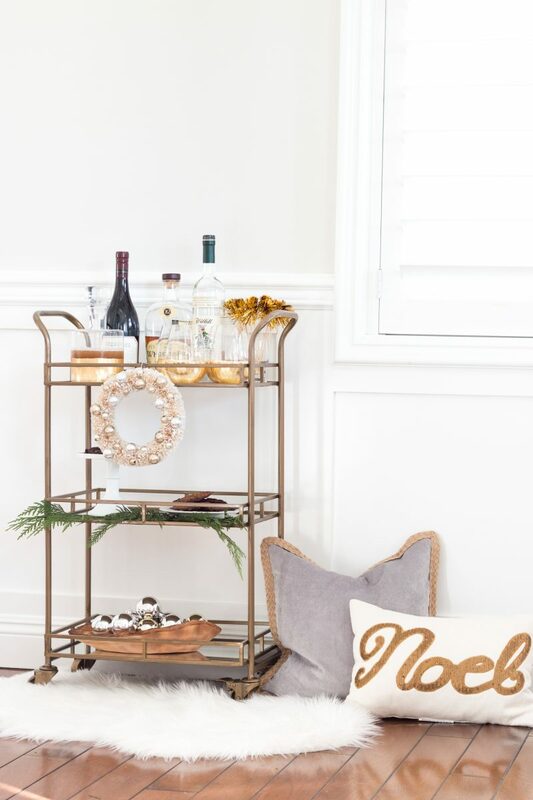 Once you enter the house, we had fun styling a bar cart two ways for this festive time of year so you can see both of them here. There’s even one for the kiddos! And our “Home Sweet Home!” tree was fun way to get the entire family involved. We also decided to do wreaths on our banister instead of garland. I created an easy to follow video sharing tips on how to hang them here. Thank you so much for stopping in today. Come back any time. 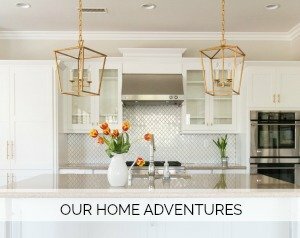 Next up on this “Welcome Home” tour is Janna from Yellow Prairie Interiors. She is an absolute doll and her talent knows no bounds. I adore all that she does. Wait until you see her Christmas bedroom. It’s so beautiful. But first up is her Christmas porch and foyer! You’re in for a treat. Enjoy the tour and Merry Christmas from our family to yours! It looks so cozy and cheery!!! I’d definitely be logging some time on that gorgeous porch!! Thanks, girl. We are out there non-stop. Nice to be able to just watch the kids play from there, too. Hope you and your family are enjoying this special time of year. It’s always so magical. So welcoming, Courtney! What an awesome front porch! Thank you so much, sweet girl! Fun to do the tour with you today. Your porch looks absolutely beautiful! 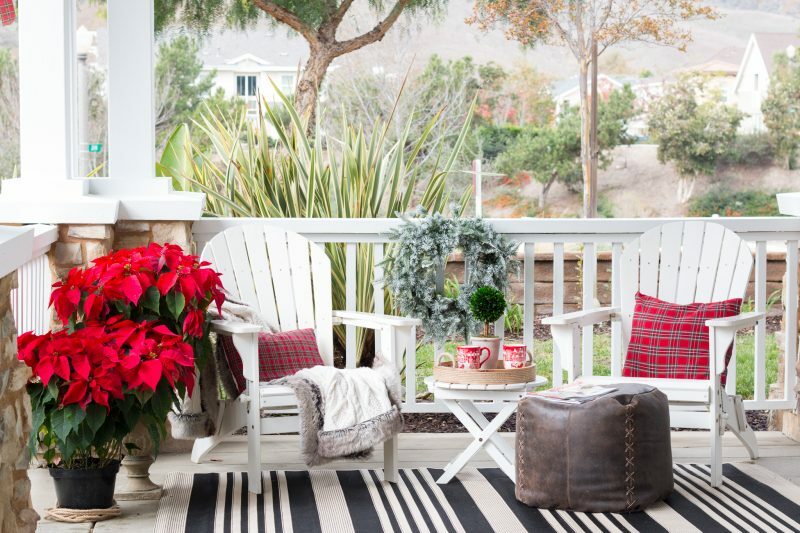 Those poinsettias are gorgeous, and I LOVE the red truck pillow. Such an inviting space! Love your new front porch!!! Looks so welcoming and ready for guests. Courtney I’ve just been catching up on your new house! I just love Craftsman style homes and you got one gorgeous gem of a house. It’s looking SO gorgeous with all your special touches. 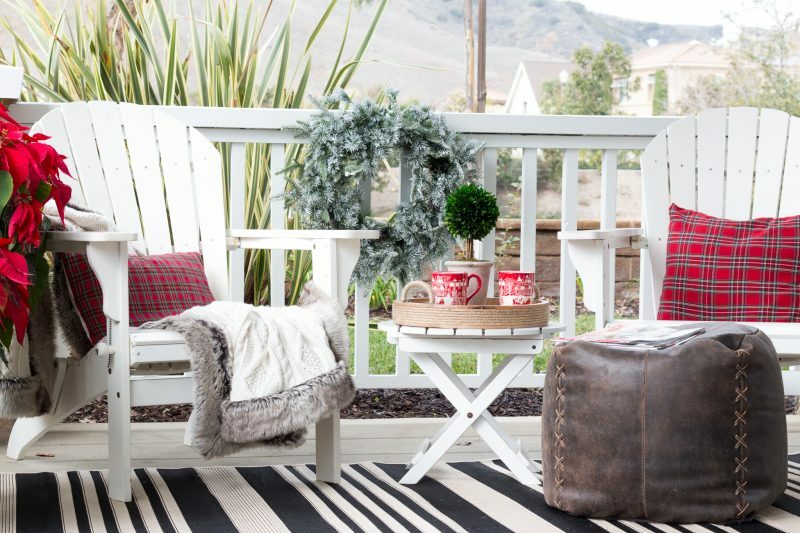 I love the front porch, red and white and black is such a pretty touch this time of year. Merry Christmas to you and yours! 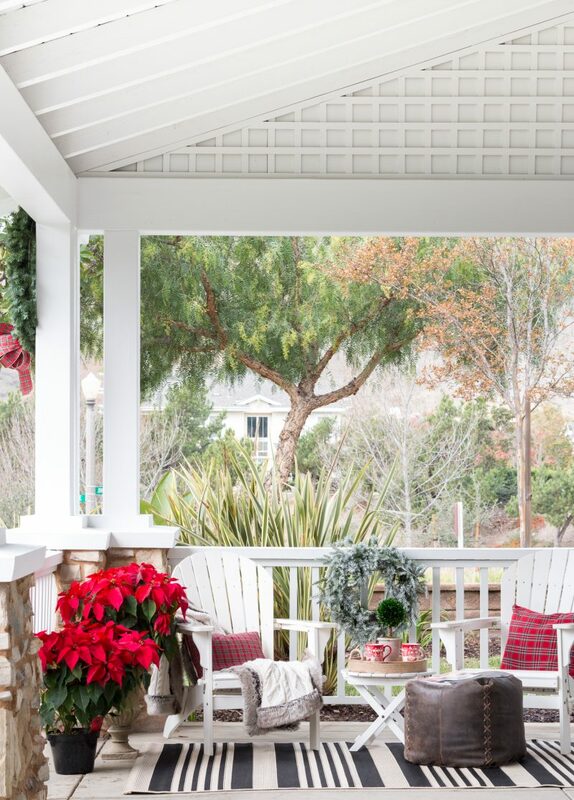 What a welcoming, lovely porch! I especially love the plaid, Courtney! 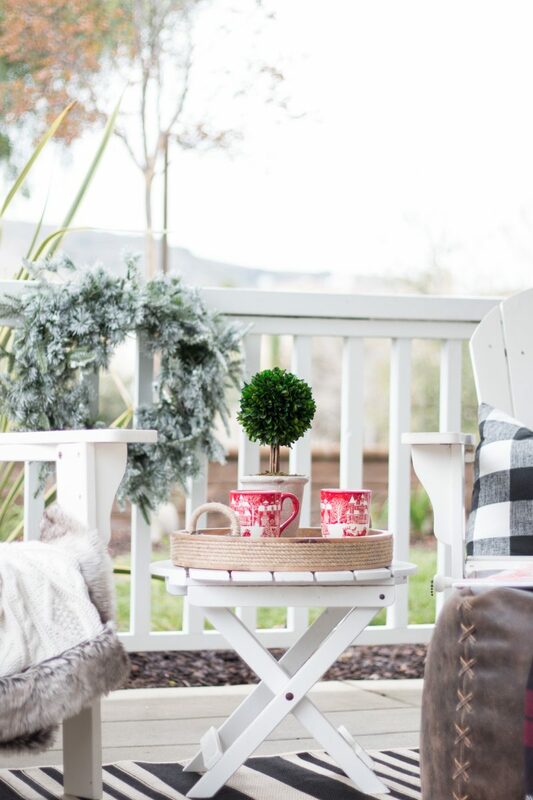 I am pretty sure that I only want to do two things currently – make a cup of Peppermint Mocha coffee and curl up on your porch with a good book. Sadly I can only do one of those things right now, but I sincerely hope that you spend a lot of time here, relaxing.